Earlier this year, Circle Entertainment released Mercenaries Saga Chronicles on Switch, offering the first three games of their SRPG series at a low price. Gamers didn’t expect the series to continue beyond the original trilogy, but shortly after Chronicles’ release, Radeon announced Mercenaries Wings: The Fallen Phoenix, the fourth entry to the Mercenaries series. This title does have a couple new changes to the formula from the three Chronicles titles, but ultimately it’s not enough to alleviate Mercenaries Wings beyond the realm of mediocrity that the series exists in. Mercenaries Wings focuses on the Crimson Birds, a mercenary band led by Jeremy the Phoenix. The band gets hired on to take care of some rebels, but it becomes evident quickly that nothing is as it seems. Eventually, the Crimson Birds become wrapped up in a much larger plot than they bargained for. Nothing about the plot to Mercenaries Wings is particularly ground-breaking. The game does attempt an early game-changing decision and a subsequent plot twist that attempts to get players invested in the story, but with the overall bland writing and stereotypical characters, this SRPG fails at giving anyone a reason to care. 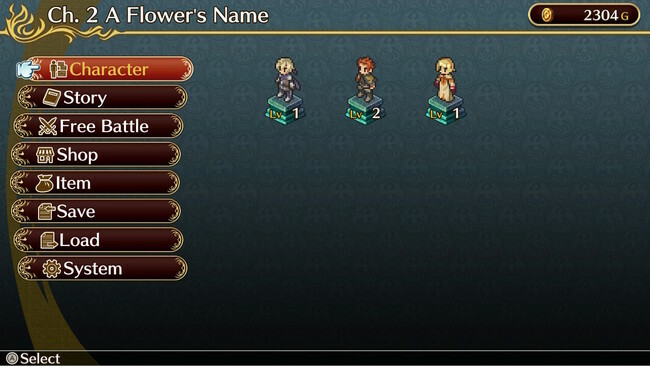 The nice looking character portraits make the cutscenes a little nicer to watch over Mercenaries Saga’s more average art, but it’s not nearly enough to salvage the actual story. Without a strong story, Mercenaries Wings needs solid gameplay to have any hope of standing out. However, the gameplay is almost exactly the same as the previous three games in the series. That is to say, pretty bog standard in the realm of SRPGs, being extremely similar to Tactics Ogre or Final Fantasy Tactics but with much less depth overall. 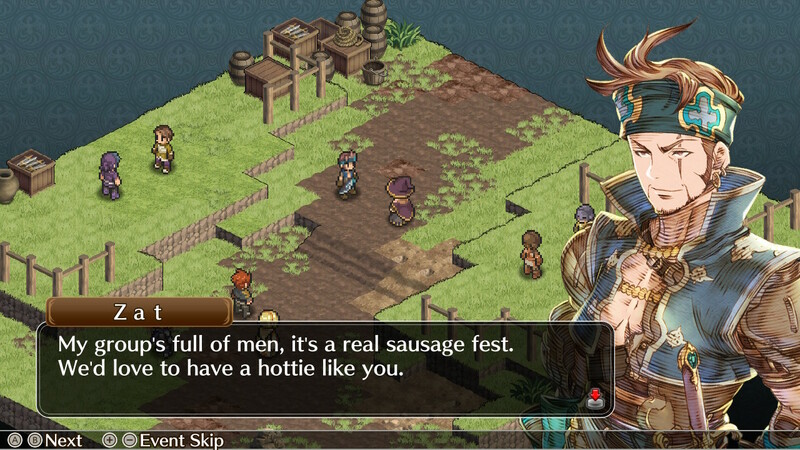 I suggest reading my review of Mercenaries Saga Chronicles if you are interested in this series, because most of the descriptions there follow through in this latest entry. There are a few things that Mercenaries Wings tries to do in order to differentiate it from most other SRPGs. First, like in the Mercenaries Saga games, units exhibit an aggro meter that fills during battle depending on what actions are used. This helps to lend another strategic layer to battles in making sure tank characters are attacked while healers are left alone. 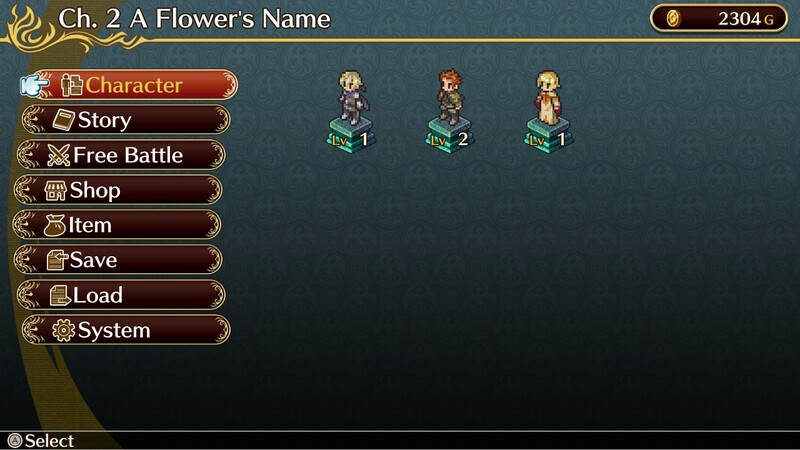 Additionally, new to Mercenaries Wings are Leader Skills. At the start of each battle, the person you pick first gets to use their Leader Skill, which affects the entire party going into battle. This could be anything from more HP or MP, to taking a hit in another stat to get a buff elsewhere. Using the right Leader Skill can make battles a fair amount easier, so it’s worth taking note of everyone’s unique skills and try to choose the right one for the battle ahead. 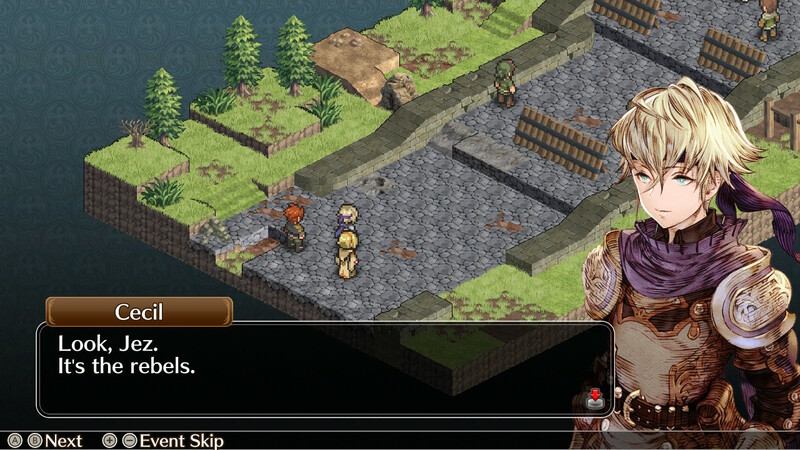 There are also a few smaller things that Mercenaries Wings has over its predecessors. Important game path changing decisions happen earlier on, which is nice for replaying… if you want to replay the game again in the first place. Characters feel like they level up faster than the other titles, likely a result of Wings not bombarding you with a ton of characters in the beginning. But other than that it’s practically the same game--the same battle sprites, the same menus, the same character progressions. But more of the same isn’t good enough when console players just got three games in this series earlier in the year. There’s not much to engage the player here--almost everything about the game is completely average. I wouldn’t say Mercenaries Wings is a bad game, it’s simply difficult to recommend spending your time playing it when there other, more polished games. If you’re an SRPG nut that’s starved for new games then Mercenaries Wings might be the game you’re looking for, but otherwise, I’d spend your time elsewhere.